Starting late this month is Fear Street (FS), an adaptation of the R.L. Stine book series. Signs were spotted in East Point on March 19. Some of the earliest filming took place in southeast Atlanta on March 27. Fear Street stars Ashely Zukerman, Kiana Madeira, and Benjamin Flores Jr. Led by Walking Dead executive producer Greg Nicotero is Creepshow (1080), a TV series based on the horror anthology by Stephen King (and the 1982 horror classic film). The series will follow new stories, one of which is being penned by King. Creepshow was spotted in East Point between March 6 and March 9. It was seen again in Cartersville between the 20th and the 22nd. Most recently, the series filmed in Griffin between March 23 and March 25. If that’s too much horror for you, there’s also Christmas Wishes and Mistletoe Kisses, which is being made for the Hallmark Channel. This production doesn’t have a code on its signs, so keep that in mind if you come across any unmarked ones. On March 15, this film shot in Monroe. Between March 25 and 27, crews transformed Marietta Square into a Christmas wonderland. SyFy is producing a new TV movie, (Future) Cult Classic (FCC) in Atlanta. The film will follow a group of teens defending their town against a serial killer obsessed with slasher-horror movies. It stars Justin Bartha, Emily Alyn Lind, and Geoffrey Owens. FCC signs first went up from March 22 to March 23 near Kennesaw Mountain, and filming took place in a residential neighborhood. On March 24, a sign was plopped at Mount Paran Christian School. Crews continued to film in Kennesaw between March 26 and 27. On the 28th, a scene was shot in Vinings. Heart of Life films on Peachtree Street downtown outside of the Hotel Indigo. It’s also pilot season, when our film industry attempts to birth new shows into the world. This year, four shows are being made to test the waters in our neck of the woods. First up is Heart of Life (HOL), an ABC drama inspired by a John Mayer song. A scene was shot at an abandoned hotel in College Park on March 21. Crews moved to downtown near Peachtree Center on March 22. Signs were spotted on the corner of Briarcliff Road and Shepherds Lane on March 25. More signs were placed along Ponce De Leon Avenue on the 27th. The next day, crews were seen filming at Emory University. The second pilot is being produced for ABC as well. The Baker and the Beauty (CK) is an American adaptation of an Israeli romantic comedy. It follows a baker and his romance with a world-famous superstar. We first saw this pilot film in Midtown near 12th Street on March 12. Signs were also up in Midtown on the 13th at the North Avenue exit from the Connector. On March 15, crews filmed at Rhodes Family Bakery on Cheshire Bridge Road. Additional filming took place on March 20 near Georgia State Stadium. The production remained downtown the next day. A basecamp was set in Buckhead at the Gold Room between March 24 and 25. The third, Cipher (SAE), for SyFy, is a drama about a boy whose brain is implanted with AI technology and the coming problems between people and computers. On March 19, the pilot filmed in Villa Rica. A basecamp was set up in Carrollton at the Midway West Church on March 21. On the 23rd, crews were back in Villa Rica. Another basecamp was spotted at the Thankful Missionary Baptist Church in Decatur on March 26. The next day, the pilot shot in Gwinnett County. The last pilot, Deputy (DEPUTY) for FOX, tells the story of Deputy Bill Hollister, who takes over as the L.A. County Sheriff. The show promises a modern, wild west vibe. Crews worked in Buckhead on March 12. 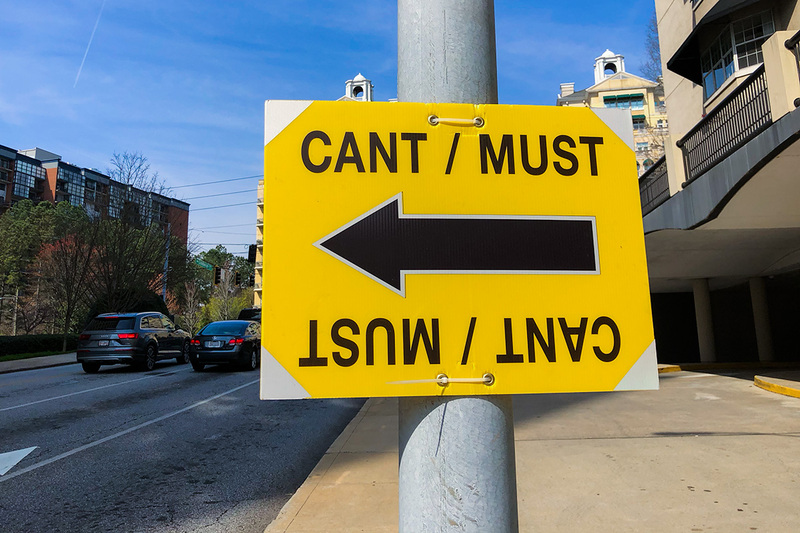 Filming moved to Emory on March 16m where signs were posted on Clairmont and North Druid Hills Roads. On March 23, the pilot shot near Georgia State Stadium. Leftover lights from a Bad Boys 3 set downtown on Ted Turner Drive. Bad Boys 3 (GFP) started out March downtown, working around Underground Atlanta between the 1st and 2nd. They stayed downtown, moving up to Ted Turner Drive near Peachtree Center until March 7. On the 18th, crews returned to the 17th Street bridge, a popular location from last month. On March 19, filming returned to downtown and stayed there until the 21st. The next day, crews were spotted in Sandy Springs. Most recently, signs were spotted on Marietta Boulevard and Rice Street near the Fulton County Jail. Jumanji 3 (LOUIE) shot in Walton County on March 9. A basecamp was spotted in Lithonia at the Stronghold Christian Church on March 12. Two days later, crews worked out of Rockbridge. Between the 16th and the 18th, filming took place at the Lithonia Quarry. From March 20 to the 21st, scenes were shot in a residential area in Loganville. HBO’s The Outsider (CANT/MUST) started March filming at Stonecrest Mall. Between March 6 and 8, crews began setting up for filming in Winder at the Barrow County Historic Courthouse. The actual photography took place between March 11 and 14. From the 18th to the 19th, scenes were shot at the Canton Village Shopping Center in Canton. 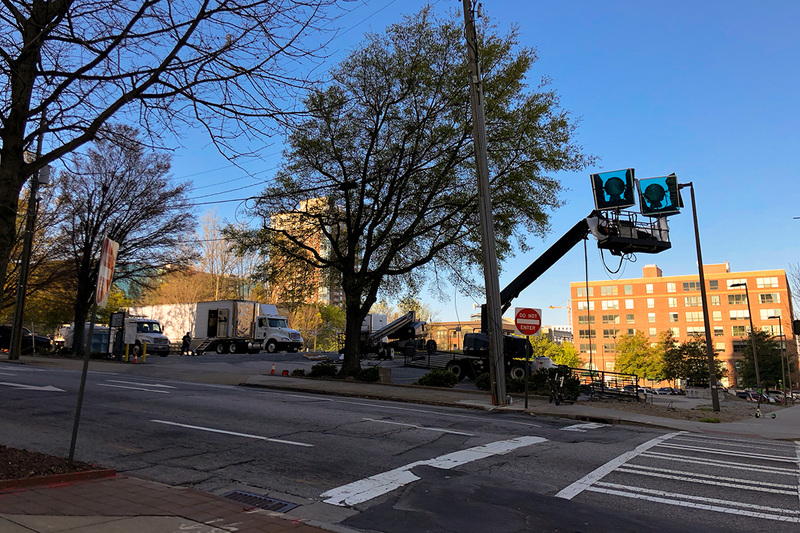 Signs were posted along Peachtree Battle Road in Buckhead on March 25, with filming taking place at a nearby residence. The next day, crews filmed at a residence near Grant Park. Doom Patrol (GRANT) is almost done filming, but in March it was spotted in downtown Atlanta on the 3rd. Production moved to Covington Square on March 11 and to Emory on the 13th. The series filmed in Conyers at the Georgia International Horse Park on the 18th. Production also shot in Piedmont Park on March 19. Crews worked in Conyers on the 22nd, and at Emory between March 26 and 27. Netflix’s Insatiable (2BOB), currently shooting its second season, filmed near Six Flags Over Georgia between March 12 and 15. Crews also worked in Stone Mountain Park on March 22. On the 26th, filming returned to Riverside Parkway near Six Flags. AMC’s Lodge 49 (LODGE 49), also back for season two, shot in Doraville on February 28, at Westview Cemetery on March 4, and at Conklin Metal on March 20. FOX’s The Resident (TR) was spotted in the Gulch in early March. The series also filmed in Conyers on March 8 and between the 11th and 12th. On March 14, a scene was shot near Georgia State University. Since then, the show has been back in Conyers, being spotted on the 22nd, the 26th, and the 27th. Also filming this month, Ambitions (AMB) was at the Atlanta Center for Medical Research on March 14. 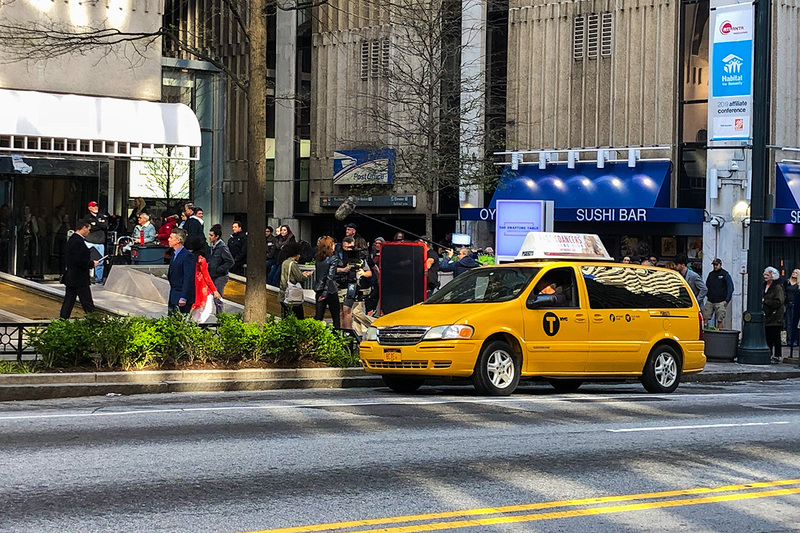 BET’s Tales (TALES) filmed in downtown Atlanta on March 28. The CW’s Dynasty (CROSS EYE) shot on stages in Norcross between March 4 and 5, and well as between the 14th and the 15th. On March 18, the show was at Suwanee Town Center. HBO’s Watchmen (CHAR) was in Union City on March 4 and 5. The show also filmed in East Point between March 25 and 26. FOX’s Love Story (LS) had a basecamp set up near Northlake Mall from March 26 through March 28. CBS’s MacGyver (EYE) was downtown in Fairle Poplar on March 5, in downtown Decatur on the 13th, and back in Atlanta near Five Points on March 21. And finally this month, we’ve discussed time and time and time and time again how the actions of the Gold Dome tend to ripple down and affect the Hollywood of the South. Controversial bills have, and are continuing to breed protest from actors, producers, and the industry in general. The latest in a long line of bills causing controversy is H.B. 481, the “heartbeat” bill which forbids most abortions after six weeks. According to the AJC, more than 40 celebrities, including Alec Baldwin, Alyssa Milano, Patton Oswalt, Don Cheadle, David Cross, Amber Tamblyn, and Ben Stiller have signed a letter directed to Georgia House Speaker David Ralston and Governor Brian Kemp. In it, they say that they “cannot in good conscience continue to recommend our industry remain in Georgia if H.B. 481 becomes law.” Film is a nearly $10 billion industry in our state. And that money resonates far beyond Atlanta into many of Georgia’s small towns, as veteran Atlanta TV and radio personality Mara Davis argued on Twitter. However anyone feels about the issues the bill causes or attempts to solve, one thing is clear: it is divisive to—and potentially harmful to—an important industry in Georgia. Correction: An earlier version of this story misidentified Stargirl as a Disney+ movie based on the Jerry Spinelli novel.